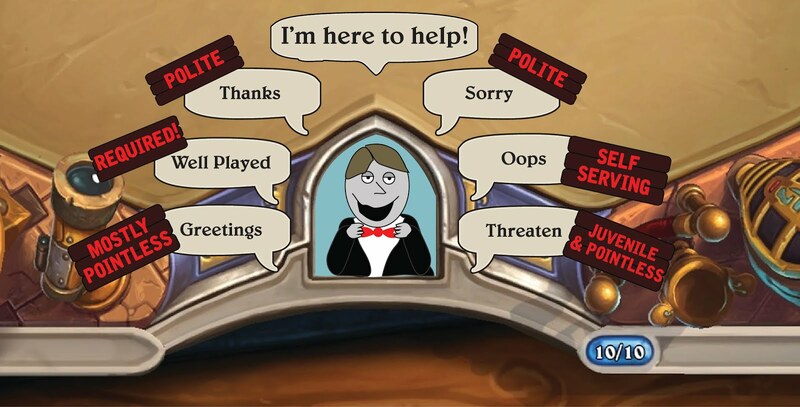 Growing Up Gamers: Dear Hearthstone Players: Please Learn Some Dang Manners! Honestly I don’t know why some people read these articles, when they could be getting better at the game. No wonder 90% of people stay at BOTTOM level while the big boys-including me, get better everyday to pwn more noobs.